We have been responsibly crafting dolls with a keen eye for detail since 1896. We respect our obligation to only use carefully selected, top-quality, non-toxic materials. Schildkröt stands for quality and sustainability. Our dolls are cute friends to cherish, play with and dress up. Most importantly, they are always there when they’re needed. They are companions, trusted friends and comforters, and give their playtime mums a feeling of safety and warmth. As playmates they encourage imaginative role-playing and thrillingly creative adventures of the mind. 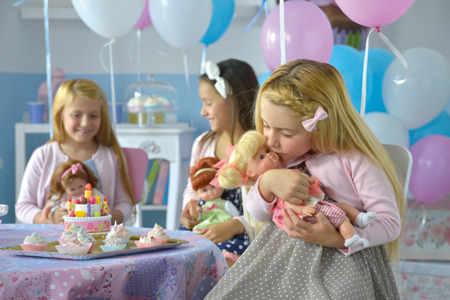 All our dolls have one thing in common – they delight their young carers and give them immense pleasure every day. They fascinate, with amazingly realistic faces and sometimes bright – sometimes sleepy eyes. The enjoyment of playing with one of the numerous and wonderful dolls can be both colourful and diverse; indeed, almost boundless. The banner of the family-run business and toy manufacturing specialist Stadlbauer Marketing & Vertrieb GmbH continues to be guarantee for the use of non-toxic raw materials and sustainably produced materials.